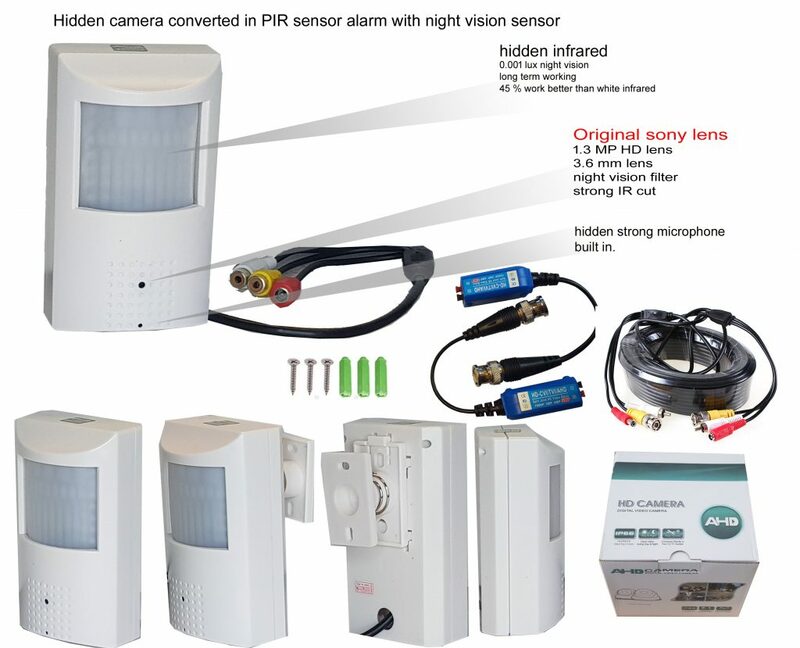 it is the cctv camera converted to the hidden pir sensor alarm. 1080P 1.3 MP HD Spy Camera with Sony Sensor. 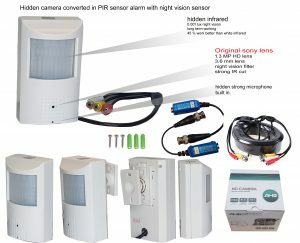 A tiny hidden camera and only 2 cm deep with night vision facility. this camera gives the exceptional High Definition you would expect from a larger, more expensive camera. Ideal for covert use where detail is imperative. Very easy to hide in corner and look like a alarm system sensor! this model can capture sound as well.